Truth be told, I have spent a huge part of my life being afraid to ride a bike. Like my son, who is now 9 years old and still refuses to learn, I avoided riding a bicycle until my double digit years. My late husband Aaron, gave me a hybrid road bike for my 27th birthday, just a few months before he tragically died of a rare adenocarcinoma. The day he gave it to me I cried and yelled at him. "This is a pressure gift" I said, with tears of shame rolling down my cheeks. Again, I refused to ride the steel stallion all but a few times. I eventually rode it, with Aaron next to me on his road bike, from our loft to Advocate Illinois Masonic Hospital. We locked the bikes up outside, thinking his cough was nothing more than bronchitis, thinking we'd be back on the bikes to ride them home in a few hours. How wrong we were. We never rode our bikes together again, and Aaron passed away 8 weeks later. I took Aaron's parting gift with me when I returned home, back to Nantucket, to heal my grief stricken heart. It rarely saw the light of day. A few years later, when I myself was diagnosed with cancer, I made a promise to God that if I made it through chemotherapy, I would learn, not only to ride that damn hybrid, I would learn to ride an actual road bike, like Aaron's and clip in. 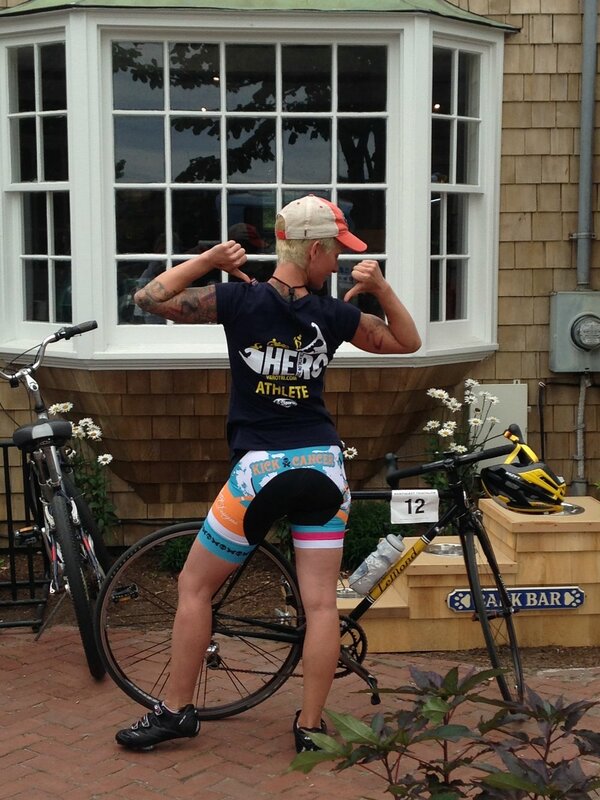 To cement the deal, I registered to ride the bike section of the Nantucket Iron Teams Relay race in June of 2014. I had never competed in a race of any kind, ever, but I figured throwing in this last part would motivate me to train, and might shore up my likelihood of surviving cancer. To my great relief (and horror), I somehow made it through my first 14 rounds of Taxol, Herceptin and AC with "flying colors". I also survived major surgery and hormonal therapy and an additional 16 infusions of Herceptin. 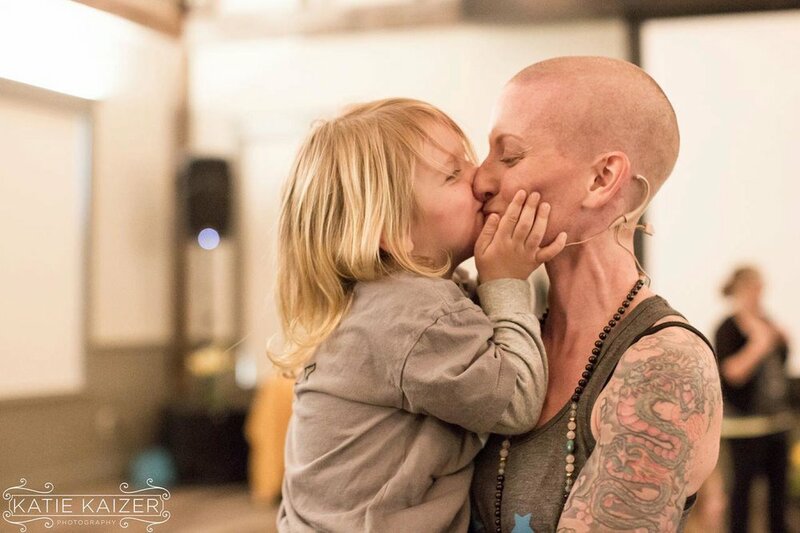 6 months into treatment, It became apparent that I was slaying breast cancer, and soon it would be time to slay my debilitating FEAR of riding on skinny tires. I had to keep my end of the bargain up. The first time my friend Big Ed took me out on my new (used) steel Greg Le Monde 10-speed, we rode from my house in the Cicso area of Nantucket’s south shore, out to Sconset on the north east end and back. I averaged about 12mph, because that was as fast as my treatment-wrecked body could go. He patiently taught me how to unclip before slowing at an intersection and I remember how hard and fast my heart was beating. I was terrified. Terrified, but thrilled, and I fell in love. I fell in love with cycling that very day and I am so grateful to have had that experience. Not just of falling in love with cycling, but of facing what had been a life-long fear. I was so in thrall with riding, I signed up for the bike leg of the olympic length Nantucket Triathlon a month after finishing the Iron Teams Relay. My leg of the race was more miles than I had ever ridden at a single time, something around 30-miles. That seems like nothing now, but back then it sounded like running a marathon to me. Yet, I was a newbie, and I cruised along fueled by the power and inspiration of a new found love. With no pressure to set a record or win a ribbon, I was just grateful to be alive and on two wheels. You gain strength, courage, and confidence by every experience in which you really stop to look fear in the face. You are able to say to yourself, ‘I lived through this horror. I can take the next thing that comes along. Fast forward through the last 5 years of riding road, to this weekend. To this moment, on Sunday, in the photo below, taken by my friend Burton Balkind, and here I am again, smiling at fear. I had just traded in an old cyclocross bike for my first ever mountain bike the day before, and was getting ready to hit the trails with a group of experienced riders. I was smiling, fckn' scared, but smiling, and determined not to let fear get in the way. I fell 3 times in the soft sand out by the beach on Sunday. I fell in in an embarrassingly slow motion surrender to the earth and my new (heavy) mountain steed pushed me deep into the Cisco sand. As I cornered around trees with handlebars much wider than I am used to, I saw my heart rate soar to a whopping 180bpm. I fought my way through some moments of bike handling anxiety, during a panic-induced trail ascent in Ram's Pasture, but I eventually I made it through the woods. I rode my new freedom machine for an hour and began to settle into her foreign geometry. While there were indeed lows, there were also so many highs, which is why I firmly believe that it is important, no necessary, to do things that scare you as much as possible. Do the thing we fear, and death of fear is certain. For me, earning to ride a bike was scary. 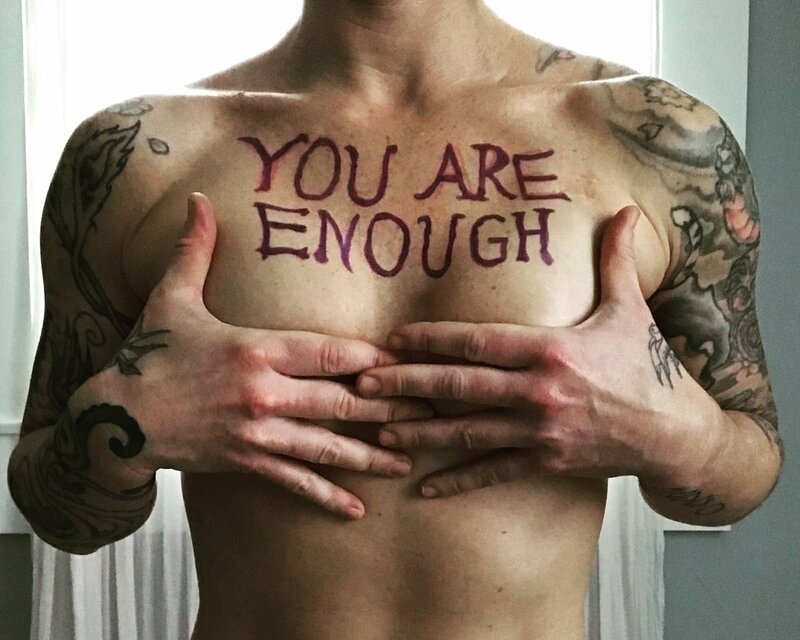 So was going through breast cancer. But I got through both. I still get scared - all the time, but I think these days my muscles of resilience and determination are stronger. This year, I signed up. Listen, you are not alone. We all have fear. The trick is, not to let it stop you. Life is so short, and there's no way to anticipate what's coming around the next corner, so take your fear and turn it into fortitude. Do something, anything, that scares you as soon as possible, and you'll see. Like magic, it no longer has the power, you do. After the Nantucket Triathlon 2014, with my first road bike - a vintage steel LeMond. Trikonasana aka Triangle Pose, is a beautiful yoga asana, or posture, that both stretches and strengthens the entire body. While no single yoga pose is a substitute for a full practice, if you’re limited on time and looking for one posture that will set you up for having great day, trikonasana might just be your jam. All that being said, triangle pose is more than just a shape, it’s a beautiful metaphor. Within the embodied shape is an opportunity to ground into the present moment (think through the legs), fire up our desires and goals (manifested through the core) and a chance to spread our wings (aka arms) and express ourselves. The explanation seemed to continue on for hours. The radiologists’ voices seemed distant and distorted, as if the words came out of their mouths in slow motion. Then, all of a sudden, they disappeared. They went to check on the O.R. and the time space continuum swallowed me up. All I could hear was the thumping of my heart and the loud rush of adrenaline coursing through my veins. It’s been 4 months since a core biopsy revealed I have invasive breast cancer. Since then, my days have been chock-full of research and reflection, so I’ve had plenty of time to think about the upcoming July 24th surgery that will theoretically save my life. Bummer. Sounds like you have to talk to someone with cancer. I’m so sorry – for you both! After all, it’s no easy task for either party. Going through this very thing myself, I’d like to help you out with a little cancer context, so that we can put your inevitable dialogue into your loved one’s perspective. I gave birth to Griffin at home, in table pose, on a well-worn yoga mat. We were in front of the fire, in the middle of the living room. The mat was green and helped hold my focus during Griffin’s lighting speed, two-hour delivery. I never wanted kids. I never wanted kids and I never wanted to teach Kid’s Yoga. In my teens I was horrified by the over-population of the world, the irresponsibility of “breeders” and the selfishness of adults who wanted to see mini versions of themselves. In my early 20s I found myself ritually annoyed by the stroller take over of my previously hip South Slope neighborhood of Brooklyn. And in my late 20s I was convinced that I might explain my situation as “childless by choice”. Let’s be honest. Yoga, like life, is a practice, and I am far from practicing either perfectly. I’ll be the first to admit that I have ridiculously high expectations for myself, and I’m really good at beating myself up when I fall short. I want to be able to do things, most things, (okay, everything) well, if not specatularly well. And when I don’t, which I won’t, because I can’t, I get frustrated and discouraged. And believe me, I know that as a yoga teacher this isn’t exactly politically correct to admit. I’m not supposed to be goal-oriented or ego-driven. In fact, I’m supposed to be non-judgmental, patient and compassionate with everyone, including myself. I’m accepting and understanding of everything, and I embrace all sentient living creatures with equal amounts of love. But let’s be real for a moment? It’s just not that easy. Why do I consistently put myself in uncomfortable situations, expecting they will get easier? Probably because, on some level, I continue to expect that at some point I will somehow rise above the most basic of human emotions: fear. Sankalpas are intentions, similar to resolutions, and yet quite different. Sankalpas are often positive things we wish to cultivate – like peace, compassion, love, or truthfulness. Resolutions, on the other hand, are often about decreasing something, giving an indulgence up like alcohol, fatty foods, sugar, or TV… sometimes a list of New Years resolutions can feel like punishment, or self-denial. This might seem like an obvious statement (most of us are pretty attached), but it’s actually something I’ve been working to let go of for a long, long time. Not my body, the attachment that is. My body comes in real handy when I have to lift the baby from his crib, go to the grocery store, or demonstrate a posture in class. All sorts of spiritual gurus and leaders tout the benefits of practicing non-attachment, but it’s so much harder than anything I’ve worked towards, including my undergraduate degree, passing the NCTMB, learning a solid Chataranga, or even the still-ellusive handstand.